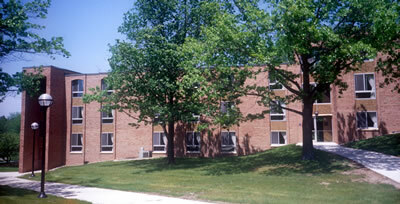 Constructed in 1967, the approximately 175,000-gross-square-foot, five-building Vera B. Baits Houses II complex (Baits II) provides housing for approximately 575 students. Consistent with the overall residential life initiative, we propose a comprehensive renovation of Baits II. The renovation will update infrastructure, including: new fire detection, alarm, and suppression systems; wireless high-speed network access; new energy-efficient windows and roof systems; and new interior finishes and furnishings. Community spaces will be reorganized or repurposed to create spaces for academic activities, student interaction, and creation of community.